Some quick facts: The most popular breed of cow in New Zealand is the Holstein-Friesian/Jersey cross. It takes 50-70 hours to convert grass to milk, and a cow needs to eat about 100-200kg of grass and drink 50-80 litres of water to produce around 20 litres of milk a day. 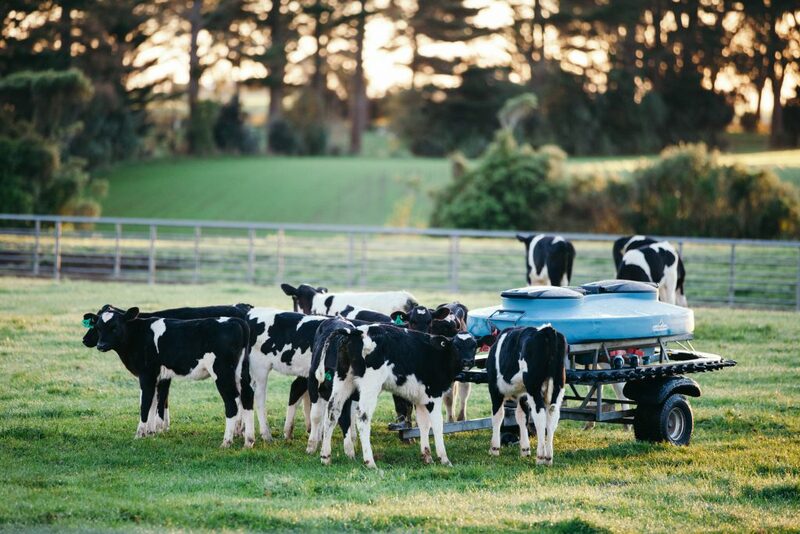 The Holstein-Friesian breed is the most common in the world, and it has taken New Zealand 150 years of rigourous breeding to stabilise the national Friesian herd to achieve the high volume of milk produced today. We were part amused, and part in awe to learn that the Holstein-Friesian cow can grow up to 550kg and thus potentially damage the grass! Smaller than the Holstein-Friesians are the Jersey cows that yield rich milk with high fat content, and are hence popular for making butter. The medium-sized Kiwi cross is a mix of the two breeds and a popular mix, accounting for about 43% of the cow population in New Zealand. Due to the good size and high fat content and volume of milk produced, these cross-bred cows are currently high in demand. Did you know that milk is the sum of what the animal has eaten in the past few hours, influenced largely by the feed and weather? It logically follows that quality milk can only be produced by quality feed, raised in conducive weather. The peak of the milk production season begins in September, with the season ending in April, so we were extremely thankful to be able to catch the last bit of the milking season when we visited in mid-April! The optimal weather conditions allow for grass to grow well, and grazing land is abundant for the cows to roam freely and get the best feed. From May onwards, as nature prepares itself for winter, farms typically renew the old pastures to ensure that the grass cover lasts through winter. Farms also observe a drying off season that allows cows to rest and recover for the next milking season. The milk tanker leaves a farm, beginning its journey to be made into dairy products to provide nutrition for life. The close relationship between type of feed (grass vs grain), weather and milk supply and quality cannot be emphasised enough. 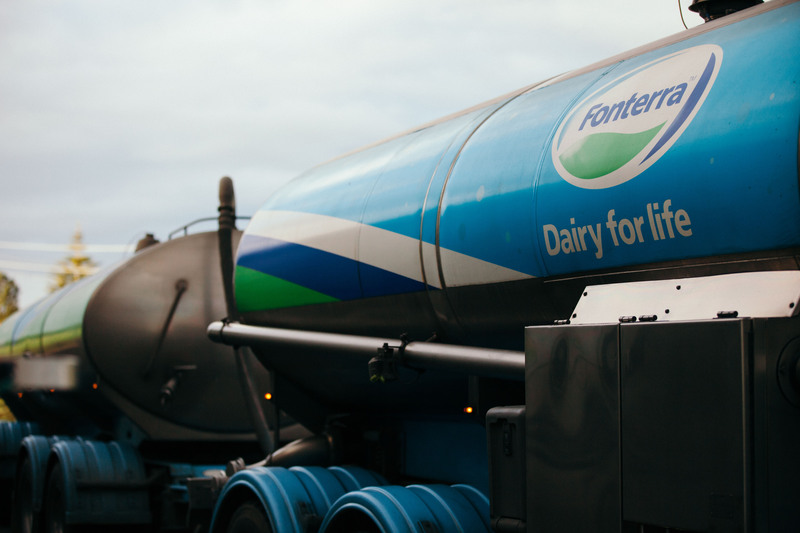 Fonterra prides itself as a clean, green co-operative that sustains dairy farming with green grass fresh from the pastures, with animal health and welfare as the uncompromisable backbone of the industry. 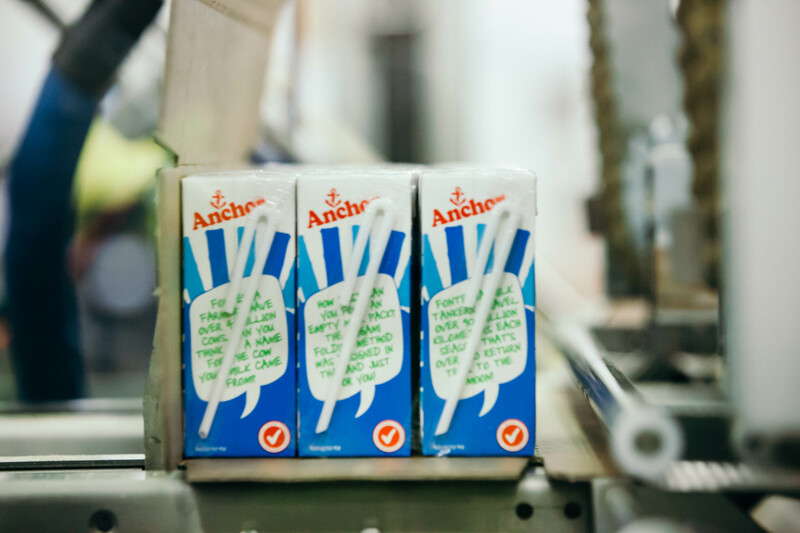 A co-operative owned by 10,500 New Zealand farming families, Fonterra is the world’s largest dairy exporter and is behind well-loved brands like Anchor, Anlene, Anmum and Mainland. As a global dairy nutrition company, Fonterra also supplies dairy ingredients to leading food manufacturers, and collaborates with farmers in key regions to sustain New Zealand as a world leader in dairy. 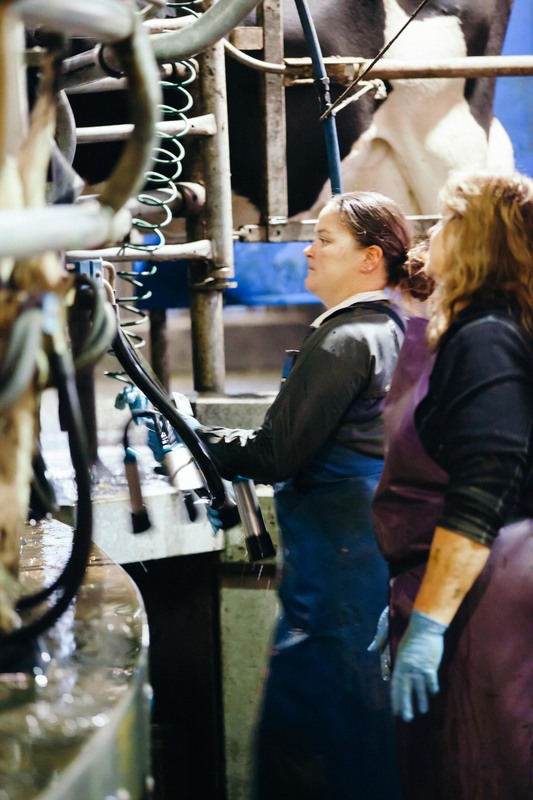 We take a glimpse into the lives of the farmers and the basics of the dairy industry. 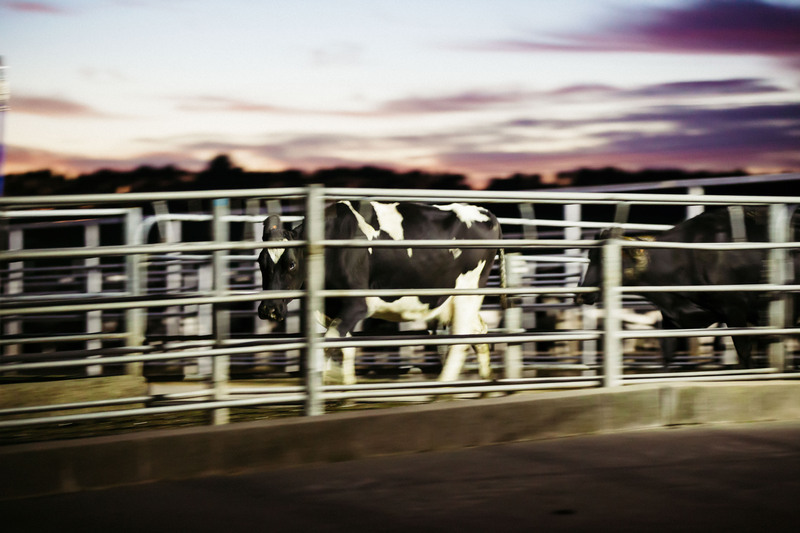 It’s before dawn, the sky still inky black at Tikorangi’s Trewithen Farm at 4.30am, when this dairy farmer’s day begins with more than 1,200 cows awaiting to be milked in a high-tech Super Shed. It’s a curious system that works. 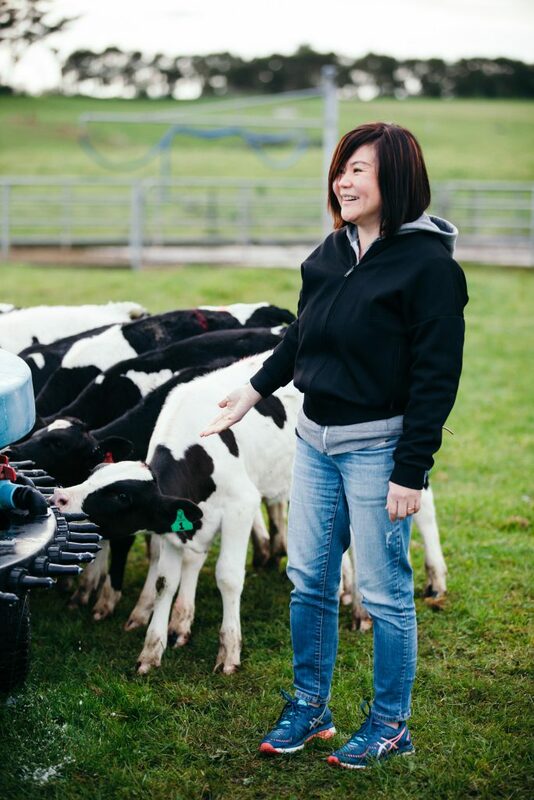 The 280-hectare farm’s land and milking facilities are owned by Gavin Faull’s Faull Farms, but operated by sharemilkers Tony and Loie Penwarden, who own the cows. 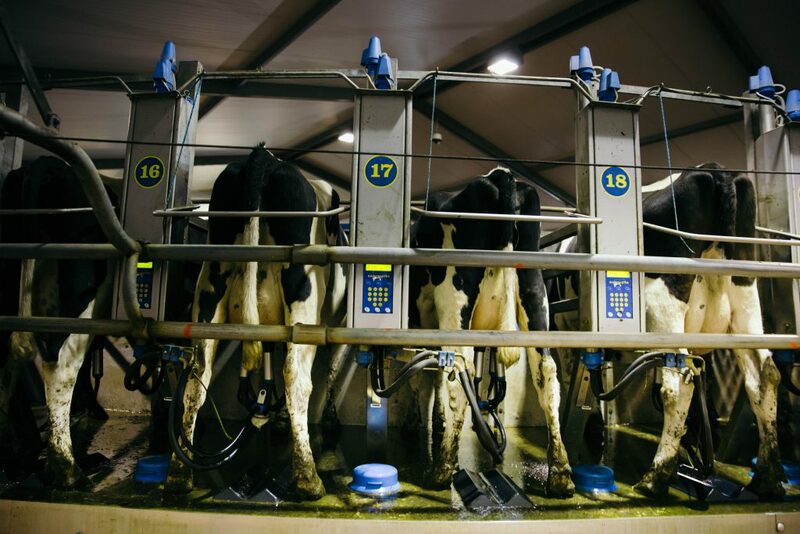 Sophisticated auto-milking facilities such as those in the Super Shed can cost about two million dollars to build. Factor in the costs of irrigation systems to water the grass, monitoring systems to check on the growth of the grass, replanting of the grass, alternating of crops and environmentally-friendly measures, and you can see how expensive it can be to set up a farm. 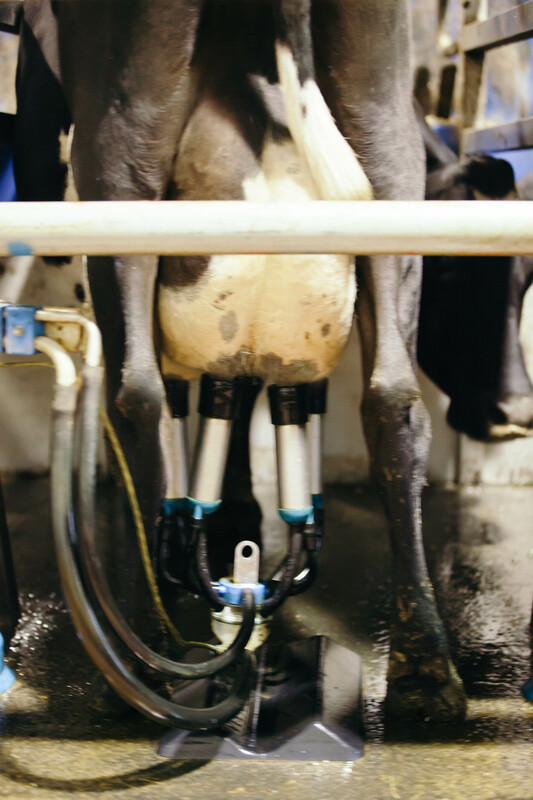 Milking is automated and done twice a day in the Super Shed, but the dairy industry is still heavily dependent on the farmers to care for the cows and the grass feed. The farmer checks on cows that don’t seem to be milking well and separates them from the herd to attend to their needs. He replants grass on 10-15% of the land every year to ensure the best feed for the cows. The cows graze on the land perennially, but come winter, farmers feed them hay and also a mix of maize and meal when the grass is not giving adequate nutrition. Young calves are given particular attention and fed colostrum, the first milk from cows that have just given birth, well-known to be high in antibodies and fat. Rapid advances in farm production systems have lightened greatly the load of the farmers and now, it only takes about 7 minutes to produce 15-20 litres of milk. Tony’s herd on Trewithen Farm produces a hefty 7,000 litres daily, collected by the industrial milk tanker that comes in at around 6.30 am to 8am. Farmers are paid based on the milk solids collected. The more protein in the milk, the more money the farmer gets. Milk quality also undergoes stringent assessments and farmers are penalised if traces of antibiotics are found in the milk. 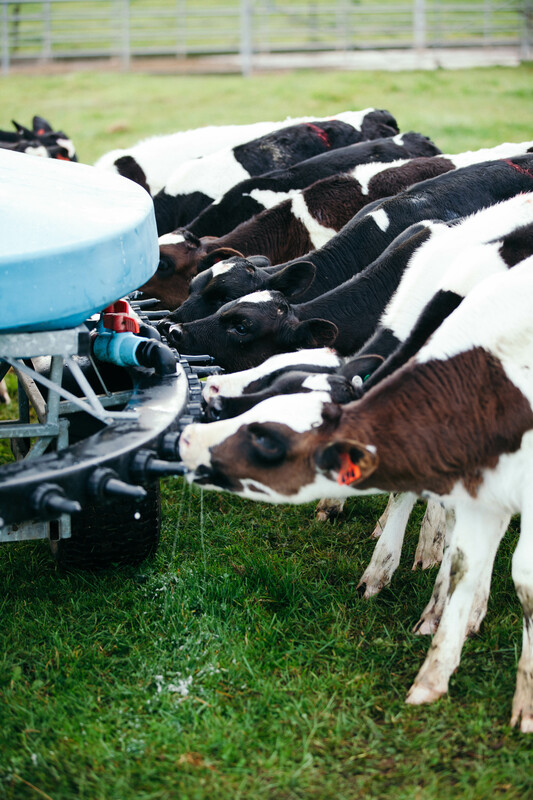 A spirit of innovation and investment in sophisticated technology are bringing new possibilities to sustain and protect the future of dairy. 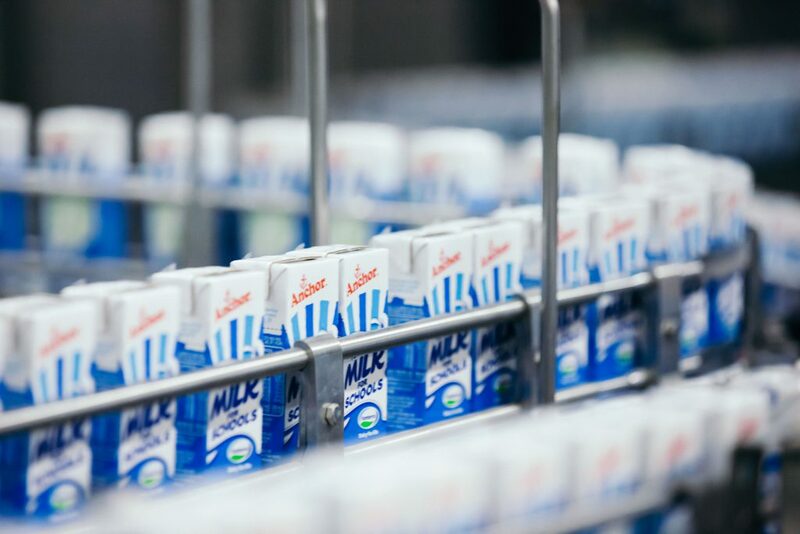 The biggest community programme undertaken by any New Zealand company, Fonterra Milk for Schools is an initiative to increase milk consumption and general health and nutrition in New Zealand’s children. Through this programme, all primary-aged children at participating schools get free access to one 200ml carton of their Anchor chilled UHT milk every school day. 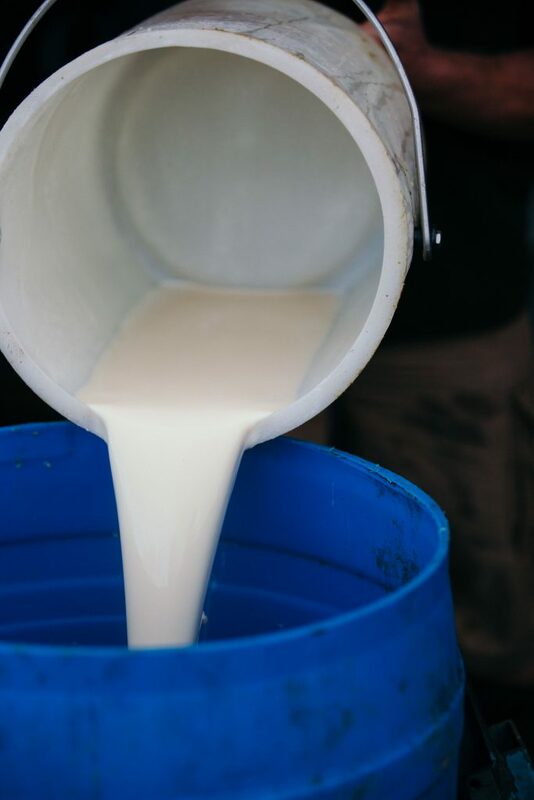 That’s more than 140,000 children who get to drink quality milk for better health every school day! Since the programme began, more than 50 million packs of milk have been delivered. The beauty of this programme goes beyond promoting the goodness of milk; it also imparts lasting lessons on recycling and leadership. For example, over the years, the 50 million packs have been folded and sent to Thailand and Malaysia to be recycled into roof tiles and exercise books. I was personally very touched by the educational aspect of this programme, connecting the children to where their dairy comes from and appreciating the farmers who have toiled to produce it. I wonder, how many of us know where our food comes from? When we do know, will we appreciate and give thanks more?